LatinaLista — The credit for pushing Congress and President Obama’s administration to address immigration reform goes to the DREAMers. A group of young people who were brought to the United States by their parents as children and who grew up embracing America as their country. The threat of deporting these homegrown Americans has been the impetus for the nationwide movement to support DREAMers in their quest to stay here and continue their education and lives legally. DREAMers already received important help when President Obama instituted the Deferred Action for Childhood Arrivals (DACA) which allows qualified young people to stay in the U.S. without fearing deportation and to be eligible to legally work. Some states have even extended the benefits by granting undocumented youth the opportunity to receive driver’s licenses. Yet, as much as this was seen as a victory, it was bittersweet. By the time DACA was put in place, many, many young DREAMers had already been either deported or voluntarily returned to their birth countries, unlikely to be able to return to the United States legally for a very long time. These deported young people are now in quest of the “Mexican Dream” and are the subject of a proposed new book titled Los Otros Dreamers — The Book. 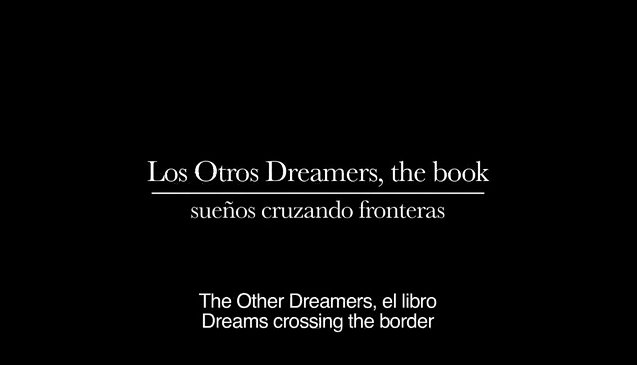 The brainchild of Jill Anderson who started research into the stories of the deported DREAMers as part of her post-doctoral work at the Universidad Nacional Autónoma de México, the book is currently a Kickstarter campaign where Anderson is asking for $30,000 to help fund the nonprofit campaign. This book is a collective testimonio of life in Mexico after growing up in the United States. These are the stories of being de aquí y de allá (from here and from there), even though feeling like you can belong in the United States and in Mexico has never been easy. In word and image, these young people, between the ages of 10 and 32, share what it is like to be rejected in one home only to feel homeless in another. They also describe their surprises, their accomplishments, and their dreams that continue in spite of the immigration system that divides them from their childhood memories, their friends, and their family. Anderson plans to feature about 20 stories accompanied by a full-page color portrait of the DREAMer, along with, other photos illustrating what their lives are like in Mexico now. She is teaming up with professional Mexican photographer Nin Solis who has already taken a few of the DREAMers’ portraits. One of the other goals of the book is to help support the local economy and so the book will be “100 percent Mexican made.” Anderson plans to publish at least 1500 books and expects it to be released in March 2014. Dream in Mexico, A.C., a non-profit organization dedicated to supporting undocumented young people get accepted to a Mexican university, whether before making the return or after deportation/return and Los Otros Dreamers, with whom the book shares its name, are a group in Mexico City who are organizing around the right to equal access to education, especially the challenges they face in order to re-validate their U.S.-based educations within the Mexican education system. Many find themselves still “undocumented” upon return to their country of birth! Envisioning this book as part art and academic research and serving as testimony to a bilingual/bicultural 21st Century generation, Anderson hopes to illustrate that DREAMers, regardless of which side of the border they’re on, continue to dream and strive for a quality of life that they know is within their reach. Deadline for Kickstarter fundraising is June 30, 2013.